Before we get started, let's clarify something: this information is probably not relevant to you, unless you work for a major game publisher. Today, Ouya announced that they have some more Dev Kits available for pre-order if you want to get early access to the Android-based gaming console. The price tag (and this is why it's not relevant for you) is sitting way up there at $800. For the cash, those purchasing the Dev Kit will receive one console, two controllers, and the OUYA Developer Kit. The Developer Kit, which is a separate entity from the Dev Kit, is an SDK (or ODK as they call it) that can be used to build and test games on the pre-release hardware. Before everyone panics, though, don't. What you're looking at is not the base entry fee for anyone to get access to the platform. 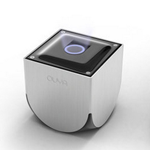 Actually, all you'd really need to develop for Ouya is, well, an Ouya. The reason this price is so high is because it's a first run developer kit and they're in very short supply. This isn't going to spell the end of the platform just yet. It will however mean a slightly higher price tag for big-budget studios like Square Enix to ensure their games are ready on launch day. It's also worth pointing out that kits like these for pro-gaming consoles can typically range from $5,000 to $10,000. So, this is actually kind of a steal to a gaming production house. In other words, everything's fine. Nothing is ruined. Carry on.